Say good bye to battery hassles, this wireless keyboard is powered by any light low light and lamp light, indoors and out. Fully charged, it works for at least three months even in total darkness. I purchased the Logitech Wireless Solar Keyboard K760 from Best Buy around September 2012 and I have nothing but good things to say about it. I love the fact that I do not have to worry about batteries because it runs off of the light in my office. I also love the fact that I can use it between three of my devices by simply hitting the the quick switch keys. I am able to use it on my iMac, ipad and iPhone by with a simple click of a button. 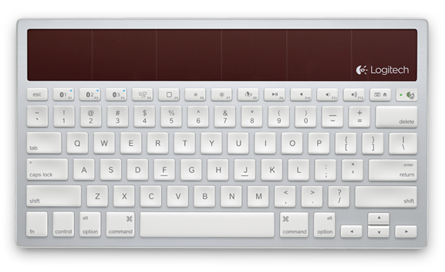 I would highly recommend the Logitech Wireless Solar Keyboard K760 to anyone looking for a keyboard that will no longer need batteries and the ability to use it between multiple Apple devices. Beware of Magic Jack and their shady practices and horrible customer service. Magic Jack has canceled my account for non use and I still had time left that I paid for how can they get away with this? Magic Jack disappoints once again, well today I found out that a number I had purchased through Magic Jack was deactivated and I had no idea why because I had paid for the service and had about 6 months left, so I contacted Magic Jack through the online chat which is the only way to communicate with this company I have included the chat log below. I use this number for a business I own and never plug it in but rather have the number forwarded to my cell phone and I guess because I have not plugged in my magic for a while they decided to deactivate my number. I do not understand how they an get away with this because I paid for the service and whether or not I use it is completely up to me. My only option was to reactivate a new number and pay for an additional year, so I am writing this to inform other Magic Jack users out there that if you do not use your Magic Jack for a undetermined amount of time that you can lose your number so beware of this companies shady tactics to steal your money. Keep in mind the number I lost was being used, but it was a forwarded number to my cell phone, so now it is gone forever because Magic Jack decided I was not using it or did not need it anymore, which was not the case. And to think I was going to buy stock in this company, if they keep up these shady practices they will not be around much longer. Jacqueline: Hello, how may I help you? Jacqueline: Please plug the magicJack in to your computer. Login, and follow the steps to reactivate your service. ME: it is asking me to pick a new number how do i renew the number I had? Jacqueline: You may need to pick a new number since your old phone number has already been deactivated. ME: how can I reactivate the old number? Jacqueline: Thank you for waiting. Jacqueline: Do you see any options on the dial pad. To keep your existing phone number? Jacqueline: Please try to check. Jacqueline: I see. Then you may need to choose another phone number. Since your old phone number is no longer available. ME: I never even received a renewal request? Jacqueline: It is because your magicjack has been unplugged for sometime and has been deactivated. Jacqueline: Is there anything else I may help you with today? Jacqueline: I have not heard from you in a while. Do you wish to continue this chat session? Jacqueline: Thank you for stopping by to chat, I hope I did a good job at addressing your concerns. Please take a second to answer a one question survey about the service I provided. Please click here and answer the one question. Thanks again! Canon pixma MX700 will not print without replacing ink problem easy fix. Canon MX700 quick print error fix. How to fix: Hold the Stop/Reset button and then press the OK button. That’s it, it should reset the error message and you should be able to print your documents without having to replace the ink that you did not need at that time. I was recently trying to get my Canon MX700 to print a black text only document, but it would not print because I need to replace my magenta and cyan ink cartridges, so I want online and found a forum telling me to unplug the printer and hit the power button and then open the tray and a few other steps I tried this twice and nothing. So I messed around with my Canon mx700 and found this quick fix please let me know if it works for you as well. I ordered the Seagate Free Agent external hard drive on 01-28-2011 and have now had it for 3 days now, and the only thing I can say is I love this hard drive. I was worried that because it was an external hard drive it might not perform well, but even when I use it with my lap top usb 2.0 it performs very well. I also purchased the Seagate-FreeAgent GoFlex 1.5′ FireWire 800 Upgrade Cable-STAE102 and when I use this with my main computer it is lightning fast. The reason I purchased this hard drive was to consolidate all of my files from my laptop and desk top computers, so that I can have easy access to all of my files no matter which computer I use. I also got tired of trying to manage my files on two computers and keeping up on the most recent files. I have been able to work on both of my computers with this hard drive, and because I am using the one hard drive between the two I am always guaranteed the most recent file. I would highly recommend this hard drive to anyone trying to manage files between two computers or if you want to free up some space on your computers hard drive. I have also noticed my computers performance seems to have improved since I have moved all of my files to the external drive. My Best Buy horror story when I picked it up in store. 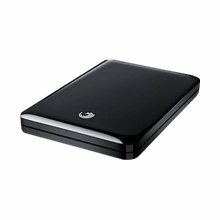 I ordered the Seagate-FreeAgent GoFlex 1TB External USB 2.0 Portable Hard Drive Black from BestBuy.com and scheduled to pick it up in store. I went to my local Best buy which is located on Tyler St in Riverside, California to pick it up, and I was only in the store for about 15 to 20 minutes. When I came out of Best Buy I noticed that someone had keyed my car on the drivers side and passenger side doors. I went in to the store to ask if they had video surveillance to see if we could see who might have done this to my car, and the Best Buy employee said there was nothing they could do. This is a review about the Seagate Free agent so I will keep this short and say that next time I am just going to have it delivered, because now I am going to have to pay a $100 deductible to get my cars paint job back to the way it was prior to going to best by, and now for the Seagate Free Agent Review. This is what I ordered from BestBuy.com all for a little under $165, and so far I think it was well worth it. Please share you experience with me if you have the Seagate-FreeAgent GoFlex 1TB External USB 2.0 Portable Hard Drive, and or the Seagate-FreeAgent GoFlex 1.5′ FireWire 800 Upgrade Cable-STAE102, also if you have had a bad experience like I did I would love to here about it. 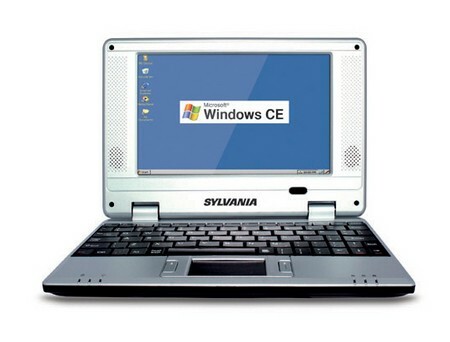 $99 Sylvania 7 inch net book. I purchased this Net book and tried to get it to do some basic things like browse the web play some music and watch some movies and I found this net book to be extremely slow. I also tried to use skype which was already installed and I could not get skype to run it would just act like it was logging in and nothing would happen. I am going to be honest I messed around with the Sylvania 7 inch net book for about 2-3 hours and I felt frustrated with its slow performance / non performance the whole time. I ended up returned it and getting my money back. I would not recommend this computer from my experience with it, but if you have purchased this net book and feel different then please feel free to post your response below or if you purchased this net book and had the same problems similar to mine please feel free to share below. The operating system is very weak, Windows CE. 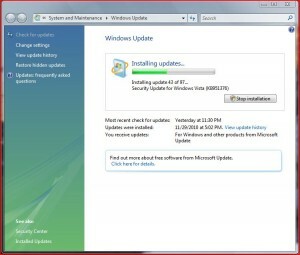 This version of operating system serves as the basis for mobile devices such as a mobile phone from Microsoft, but it in itself is unfriendly to the end user, not to mention the scarcity of programs presented. Overall I would not recommend buying this net book based on my experience with it. I think Logitech customer service is one of the best and should be replicated by others. I have had my Logitech QuickCam Vision Pro web cam for Mac for almost two years now in fact I purchased my QuickCam Vision Pro on November 25th 2008 and I called today November 9th 2010 to do a warranty exchange, because my Quick Cam Vision Pro web cam stopped working about a year ago when I upgraded my Mac operating system to Snow Leopard. 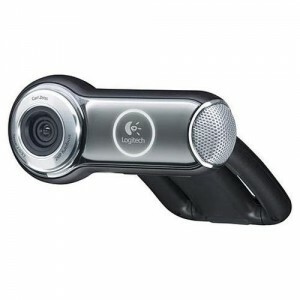 I have tried many different thing to get this web cam to work, but nothing seemed to work so I called logitech and found out that they offer a 2 year warranty for this web cam, so I spoke with a nice girl by the name of Caitlyn and she made the process very simple she just asked me what happened and if I still had the proof of purchase, so I told her what happened and I did have the proof of purchase, so she took my information down, and just like that I have a new Logitech Quick Cam Vision pro web cam on its way to my house the process was simple and fast. I think the total time I spent on the phone with Caitlyn was less that five minutes, now that’s world class customer service from a company that stands behind their product. I can tell you this much for sure, as long as the customer service and warranty for Logitech products never change I will remain a loyal Logitech Customer for life. I highly recommend Logitech to anyone looking to buy any accessories for their computer, because I have experienced nothing but good customer service and excellent product warranties that are back 100% by Logitech.